Delight, mixed with criticism, is apparent throughout. A major study of a minor but vital mirror to our society. Very intelligent... A good collection of notable cartoons. Soundly argued, meticulously researched, gorgeously illustrated and utterly fun reading... writes with satisfying authority and pleasurably crisp prose. 'Academic' this book may be, but don't let that stop you from letting Topliss guide you through every conceivable aspect of all these brilliantly twisted artists and their larger contexts. 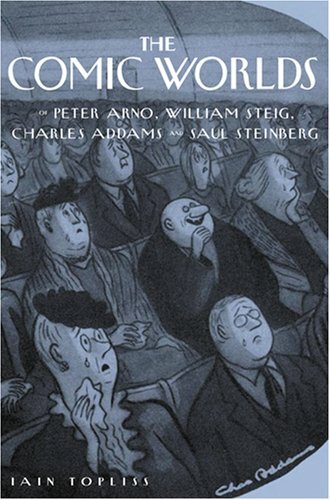 Ambitious study of four of the New Yorker magazine's most notable cartoonists. If you like the New Yorker magazine, you'll love this book. If you aren't yet an aficionado, you probably will be by the time you've dipped into a chapter or two. Thorough, often brilliant, portraits of these artists. The author gives us a look at art central to the first fifty years of The New Yorker, art that might at first seem peripheral to American culture of the time, but feels absolutely central after reading this insightful and perceptive study.